EDINBURG — Derek Matlock, who spent the last five years as the recruiting coordinator and pitching coach at West Virginia and the 19 years prior coaching in Texas, is the new head coach of the UTRGV baseball team, the UTRGV Department of Intercollegiate Athletics announced on Saturday. West Virginia is coming off its first NCAA Regional berth in 21 years after earning the first at-large bid in program history by going 36-26. In Matlock’s five seasons, West Virginia went 160-127 (.557) and made the Big 12 Tournament every year. Matlock recruited and coached five All-Americans and had six pitchers drafted, including three in the top 15 rounds of the MLB Draft. One of those pitchers was 2013 Big 12 Pitcher of the Year and Louisville Slugger All-American Harrison Musgrave, who is currently pitching at AAA Albuquerque after being selected by the Colorado Rockies in the eighth round of the 2014 MLB Draft. Matlock went to West Virginia after five years as the recruiting coordinator and pitching coach at Texas State, a program he helped to four straight Southland Conference Championships, marking the first conference championships in program history, and two NCAA Regional berths. Overall, Texas State went 219-136 (.617) during Matlock’s tenure, twice winning a program record 41 games. He recruited five All-Americans to Texas State and developed three Southland Conference Pitcher of the Year honorees. Matlock also had eight pitchers selected in the MLB Draft. Matlock’s 2012 pitching staff put together a streak of 57 2/3 consecutive scoreless innings, just 6 1/3 short of the NCAA record, en route to a program record 3.02 ERA. One of Matlock’s top recruits at Texas State was Arizona Diamondbacks first baseman and four-time All-Star Paul Goldschmidt. Matlock joined Texas State after three seasons as the volunteer assistant coach at TCU, during which time he worked with the pitchers and catchers. TCU went 80-43 during those two seasons, winning back-to-back conference championships and advancing to the NCAA Regionals. Matlock coached two players who went on to be selected in the top two rounds of the MLB Draft, including Lance Broadway, who was the 15th overall pick and went on to pitch for the Chicago White Sox and New York Mets. Matlock also coached 2016 NL Cy Young Award winner and 2015 All-Star Jake Arrieta, who led the Chicago Cubs the its first World Series Championship in 108 years last season, and St. Louis Cardinals first baseman and three-time All-Star Matt Carpenter. 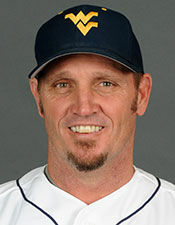 Matlock gained his first experience in collegiate baseball as manager of the Denton Outlaws of the Texas Collegiate League (TCL) from 2004-07. He finished as the second most successful coach in league history by going 78-63 (.553), winning the 2005 TCL Championship, and earning TCL Coach of the Year honors in 2005 and 2006. He also had the opportunity to coach 2014 AL Cy Young Award winner and 2016 All-Star Corey Kluber, who led the Cleveland Indians to the World Series last season. Matlock began his coaching career as the assistant coach at Eastern Hills High School in Fort Worth in 1994 before being elevated to head coach in 1996. Matlock took a program that had never had a winning season and had no baseball field or locker room and won back-to-back district championships en route to ranking in the top 10 in the state. Matlock earned District Coach of the Year honors in 1996 and 1997 and Fort Worth Star-Telegram Coach of the Year honors in 1998. During his nine seasons as a high school head coach, Matlock went 251-67 (.789). Matlock earned his Bachelor of Science in Exercise and Sports Studies from UT Arlington in 1992 and his Master of Education from Texas Wesleyan in 2000. Originally from Fort Worth, Matlock and his wife, Michel, have three sons, Dylan, and twins Ryan and Brett.